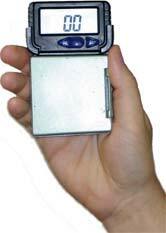 The company Belbiosens has invented the new device (blood glucose meter). The unique 16-test cartridge eliminates the need to open and handle individual test strips. An advantage of the system in accordance with the invention is that several tests can be carried out successively. The user does not have to manually take a new test element out of a separate container. In the present case, the determination can be carried out with one single instrument without requiring an additional container to store the test elements. 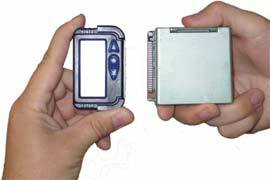 The invented device surpasses in all parameters similar glucose meter manufacturers such as company Bayer Diagnostics meter Ascensia Breeze and company Roche Diagnostics meter Accu-Chek Compact. In comparison with analogues given meter it is much easier in manufacturing as there is no complex mechanical part and is considerably user-friendlier.